MASTIFAL was then born in a cradle where many bands delighted the masses with their presentations and demo tapes, hoping the latter would soon become full-length records. The band was formed in 1995 and from its beginnings they practiced the musical style which would mark them indelibly: THRASH METAL. In August of 1997, there was a change of guitar player. When his former band was dissolved, Diego Conte joined MASTIFAL to play lead guitar thanks to a notice he left at the rehearsing room he used to go to. The band records its first demo tape entitled "Ebola" in 1998 with such line-up. 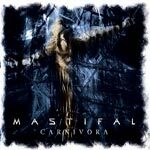 In November of 2000, Marcelo Barreto, rhythm guitar and vocals, leaves the band for personal reasons and, at the end of that same month, Miguel Maciel joins MASTIFAL. The fact that he had been a faithful fan of the band made him feel at home from the very beginning. Afterwards, Matías Murghini, who is from the city of Corral Bustos, Córdoba, joined the band. He had come to live in Buenos Aires to take guitar lessons and to search for a band. He had seen MASTIFAL at a show in Santa Fe and when he arrived in Buenos Aires he contacted the band and found out they were searching for a guitar player. Matías was accepted immediately in the band. November 14th 2001: Andrés Barreto (bass player) left the band for personal reasons and, due to Argentina’s economic situation, he moved to Italy. (MASTIFAL wishes you good luck). Guillermo Ricci, a close friend to Miguel and the band, replaced him. Unluckily, due to some availability problems, Guillermo was replaced by Alex Martin, who knew the band since its show in Cemento, where MASTIFAL played along with Malón. Alex was chosen among many other bass players for his self-confidence, will and commitment. December 29th 2001: Rubén Barreto (drums) left the band to follow his brother Andrés' steps and he traveled to Barcelona, Spain. Luis Sánchez, former LETHAL member, replaced him on January 2nd 2002. Unfortunately, due to several problems he had to face, he left the band on March 5th 2002. When MASTIFAL started searching for a new drummer, Leonardo, a fan of the band, spoke to Diego and showed interest in entering the band. When he was auditioned, he knew the "Holocausto Mental" record completely and showed his will, strength and energy. He became a new member of the band. 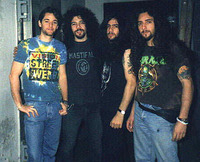 Unluckily, due to health problems, Leonardo left the band and Rubén Barreto (the band's first drummer) joined MASTIFAL again in September of 2002. MASTIFAL has played in Buenos Aires, Entre Ríos (Colon, San Jose), Santa Fe (Rosario, Elortondo), Neuquen, Buenos Aires (La Plata, Pacheco, Solano, Temperley, Burzaco, Avellaneda, Glew, Haedo, Moreno, San Justo, Junin, among other places), where they took all their strength of their music by means of their songs. They shared the stage with bands as CANNIBAL CORPSE (US), DISMEMBER (Sweden), BEHEMOTH (Poland), Masacre (Colombia), Slow Agony (Paraguay), Arkhan (Chile), Horcas, Malon, Visceral, Nepal, Serpentor, Avernal, Terrorist, Lethal, Absemia, Cuero, Simbiosis, Sauron, Origen, Sorcery, R.P.M., Aborigen, Eucrasia, Tanke, Ojos negros, Asesino Violeta, Dehumanizer, Asinesia, Eternal Grave, M.o.r.t.a.j.a., Requiem, Montreal, Angkor, Parcas, Hierrock, Psicomuerte, Dragon, Lovorne, U.to.pi.a, Balrog, Renacer, Ley Primera, Infernal, Cyclope, among other Argentine bands. MASTIFAL played in many places within the Capital city as well as in the suburbs. The main clubs are HANGAR, CEMENTO, MARQUEE, El Arlequín, La Ratona, Winners, among many others. Its first work was recorded on March 28th 1998, in only four channels and without any musical arrangements or effects in a studio in Moreno, Buenos Aires. It is entitled "EBOLA" and its lyrics deal with social subjects and the responsibility man should assume towards the environment. This album was very well received by the media and the national underground scene. It paved the way for the recording of their first independent CD, which contained 11 tracks and an interactive track with videos, photos, lyrics, info, etc. 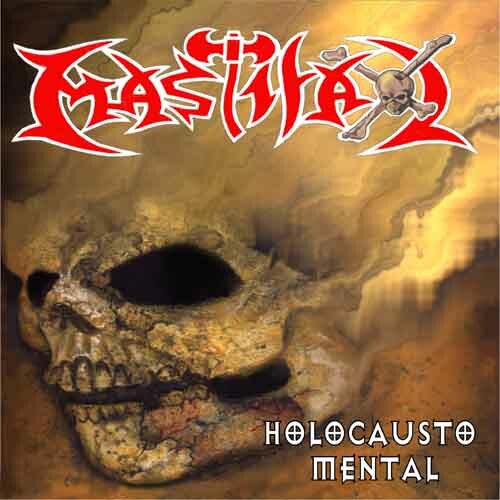 The next work of the band, "HOLOCAUSTO MENTAL" was recorded during August of 1999 and May of 2000. 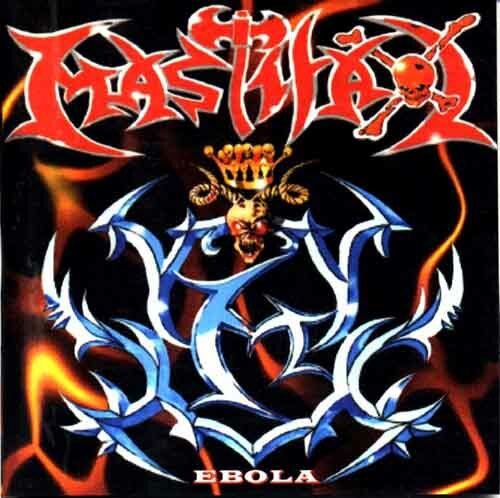 It contained 11 tracks: Holocausto Mental, Devastación, Espectáculo Macabro, Apodado Hijo del Diablo, Privado de la Libertad, Ebola, Indiferencia, Lenta Muerte, Cuando el Sol Crucifique mi Nombre, Fábrica de Monos and La Plegaria del Obrero, five of which are re-recorded versions of tracks from the "EBOLA" demo. Said record was edited in Peru through Infected Voice Productions (www.infectedvoice.8k.com) and in Ecuador through Brutalidad Total Productions. It was also distributed throughout several European countries thanks to the Orion Entertainment label (www.orionmusic-furias.com.ar) and will be edited in FRANCE through "Bang or Be Banged Productions" during the month of July. This album was digitally recorded in 16 channels and mastered by the technician Sebastian Perkal at PANDA studio. 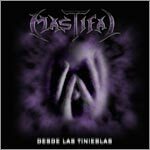 MASTIFAL has just finished recording their new record "From the darkness" which contains 14 songs + a video. This album was recorded at "La nave de Oseberg" studio. This new work of art was recorded in 2 versions (Spanish and English), Click HERE to see the tracklist. MASTIFAL signed for Pulsar Light Records (an Italian Label) for the edition in all Europe of the English version of our new album "From the darkness". This label plans to launch 2 more records.